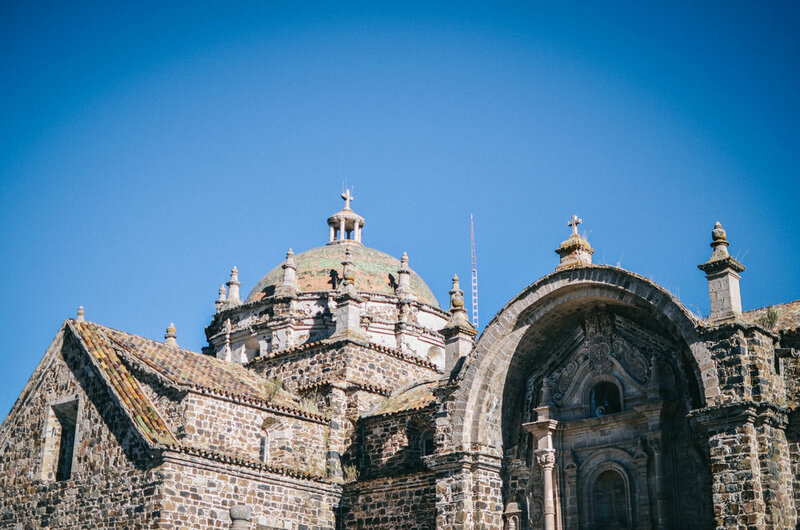 There’s something about Cusco. It draws you in unexpectedly and pretty soon…you realize you’ve been there for nearly a month. That’s basically what happened to us, anyway. 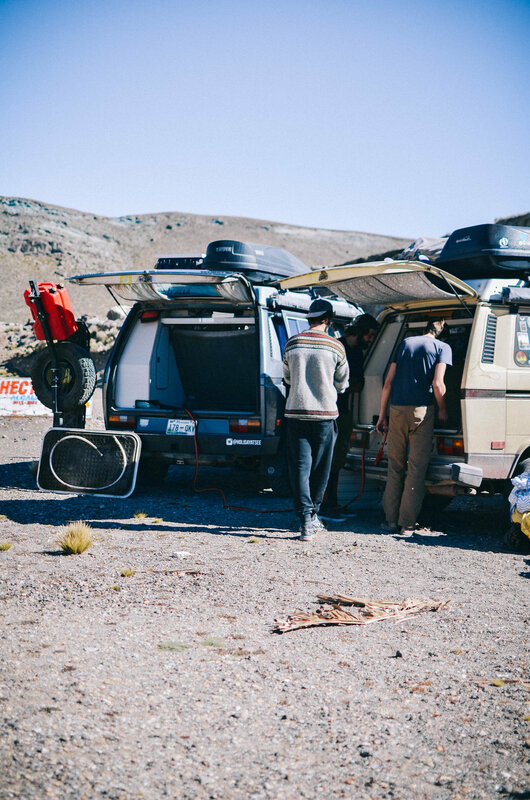 Last time we talked, we were cruising north along Chile’s Ruta 5 to meet up with some friends in Cusco and enjoy the dry season. After enjoying a few days on the beach in the pleasant border town of Arica, we made our way into southern Perú. The drive took us through hot, busy, bustling Tacna followed by a whole lot of nothing. We soon found ourselves weaving through a mixture of altiplano and high-altitude sand dunes with some of the most stunning colors. 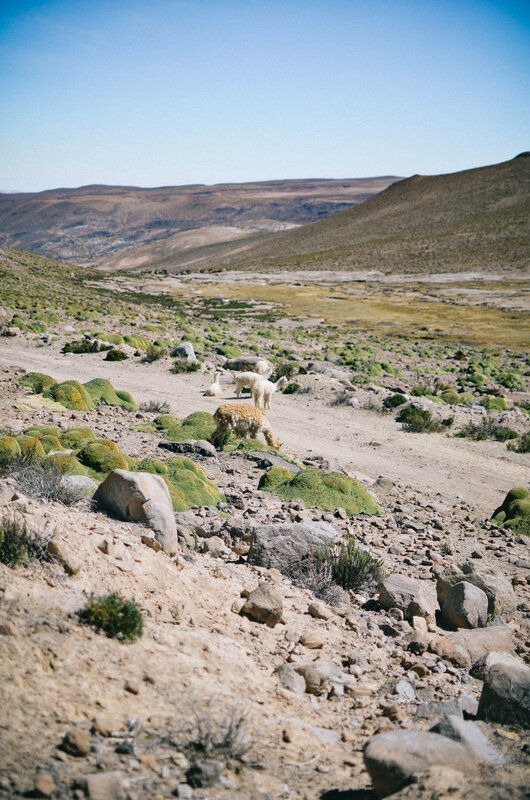 The rolling foothills of the Andes were covered with herds of grazing alpacas. We even managed to bump into and spend an afternoon with some fellow Westy owners. Unfortunately, due to the high altitude, they were experiencing engine problems when we happened to roll by. There was a mixture of troubleshooting and chatting until a nice local man came by and was able to get them rolling again! We had a celebratory swig of pisco with our new friends and watched them slowly make their way up the mountain pass we had just come down from. Pretty soon we approached the brick city of Puno, overlooking enormous Lake Titicaca. 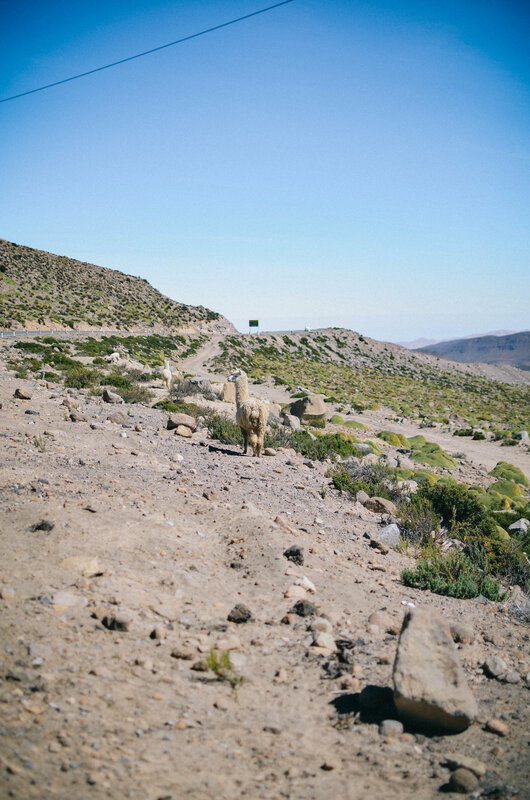 The drive through the Reserva Nacional Titicaca, which follows Puno, was perplexing. 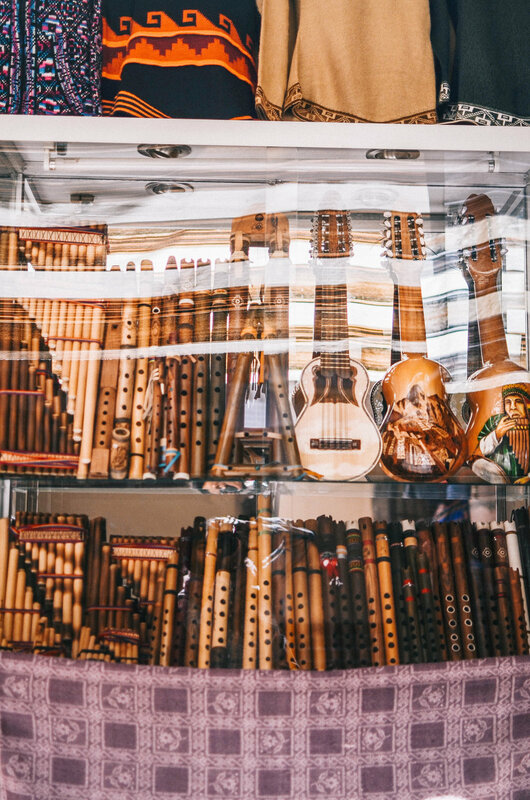 There was a mix of beautiful, flat farmland, adobe houses thatched with andean grass roofs, surrounding mountain views…and obstacle-course roads full of glass and rocks. We're still not sure what that was all about...probably the remains of a protest. Families were seen spending the day outside, cleaning and drying thousands of potatoes strewn across brightly colored blankets. It was officially harvest season. 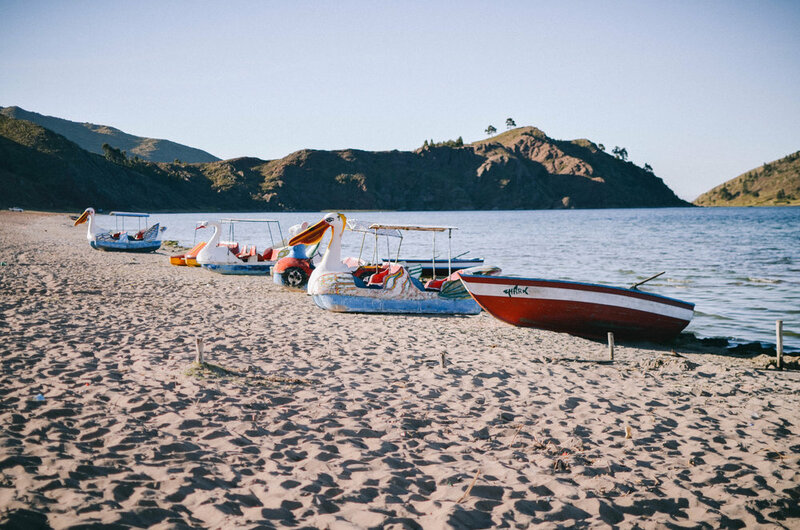 We spent a peaceful night camping at Lake Titicaca, walking the beach and taking in as much sunlight as we could before the sunset at 5:30 PM. A walk along the beach turned into being a human bumper for the brigade of stray dogs tornado-ing around each other, playing…fighting…and then playing again. A small piece of cheese and chorizo kept them near our van all night and if anything was even remotely in sight, we knew. We were sure to give them another reward before we headed off the next morning. A nice man we met in Puno while parked on the street had told us about a little town called Lampa (aka the pink city of the Andes) so we decided to make a stop there. It was definitely the sleepy little town he had described to us. After experiencing the mayhem and maddening frustration that was navigating through Juliaca, any and all sleepy little towns were more than welcome. Lunchtime allowed our first sampling of two classic Andean dishes: alpaca frito for him and a lovely vegetable-filled soup called chayro for me. As we made our way towards Cusco, the landscape got even more stunning. Loads of towns dotted the way and we started seeing enormous sculptures dedicated to a delicacy of the region: cuy aka guinea pig. FYI, it comes whole, quartered, fried, smoked, baked and even on a stick. 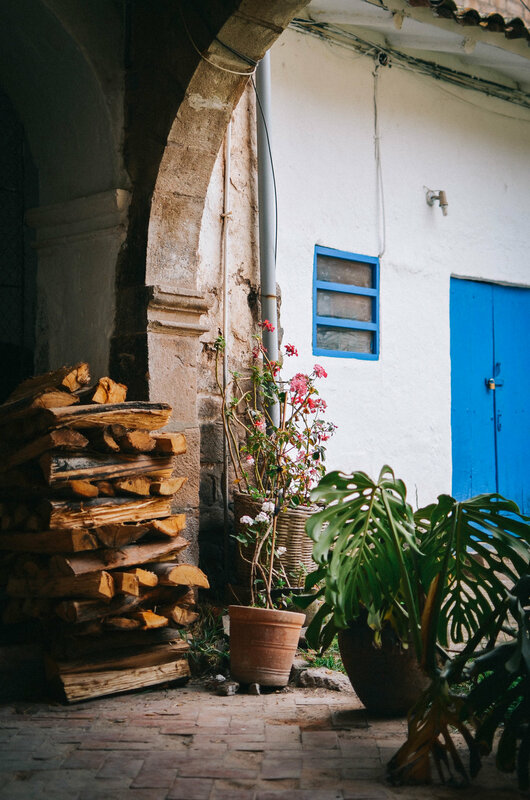 We stopped off in the small town of Urcos for a lunch of delicious fried trout and grocery shopping before making our way to our camp spot for the night. We spent two nights in a parking lot next to a really lovely and peaceful park at a lake right outside of town. The second night was a surprise…from the surprise food poisoning that Shruthi managed to get from a bad, undercooked egg. FUN. 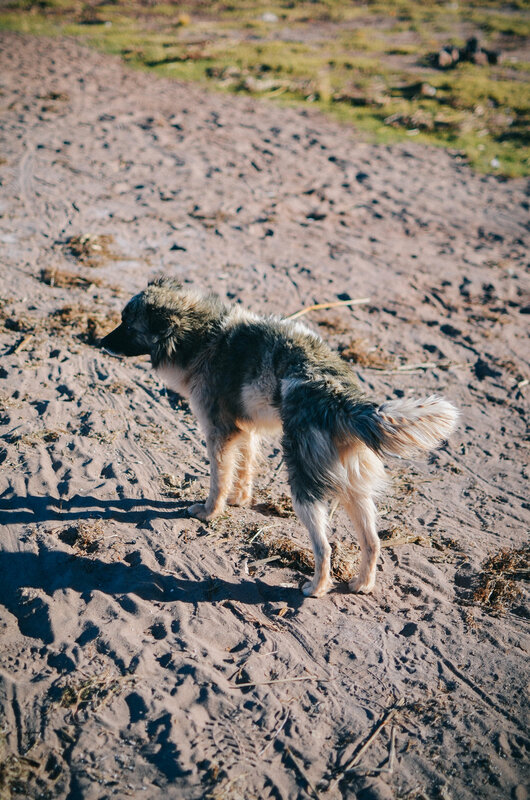 Luckily, she was able to get better quickly and the following day, we made our way to Cusco to reunite with some friends after 9 months of not seeing each other. 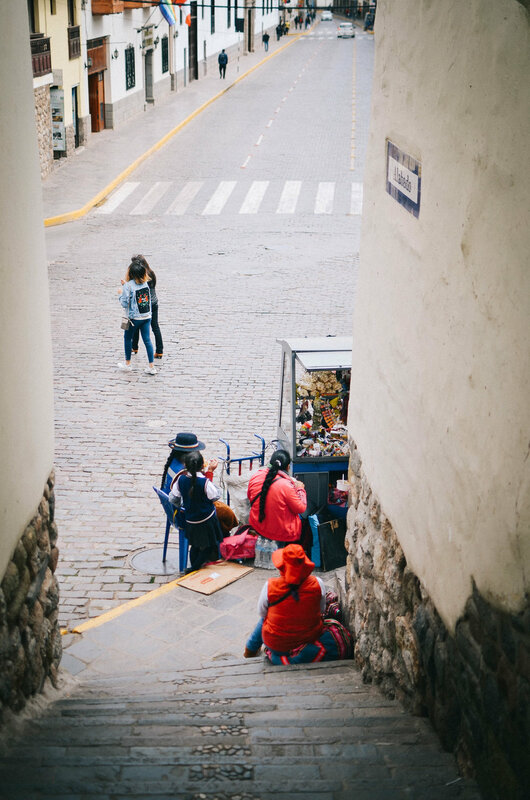 We spent three weeks in Cusco catching up with old friends, meeting new ones, eating great food, drinking too much, taking in the parades leading up to Inti Raymi and planning out adventures to dive into. 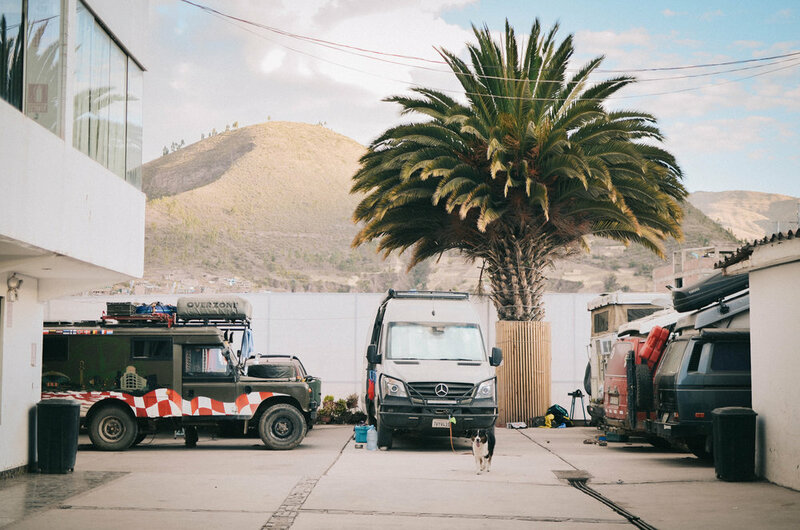 A hotel (Hotel Cabaña on iOverlander) in a quiet barrio outside of Cusco called San Sebastian allowed us to park our rigs in their parking lot for as long as we needed. 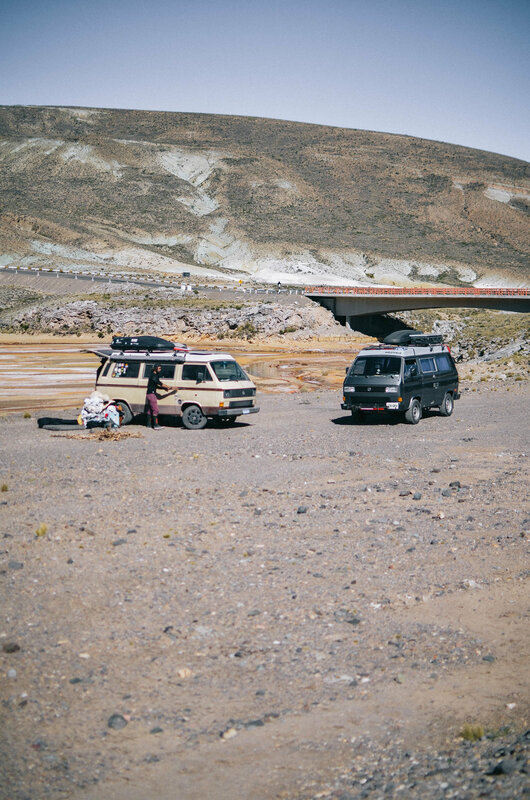 There was a constant shuffle of other overlanders arriving and departing so we felt completely safe leaving our vehicles there and taking cheap taxis or walking into the center. For 25 soles/night, we had access to a shared bathroom with hot water, water for dishes, electricity and great WIFI. 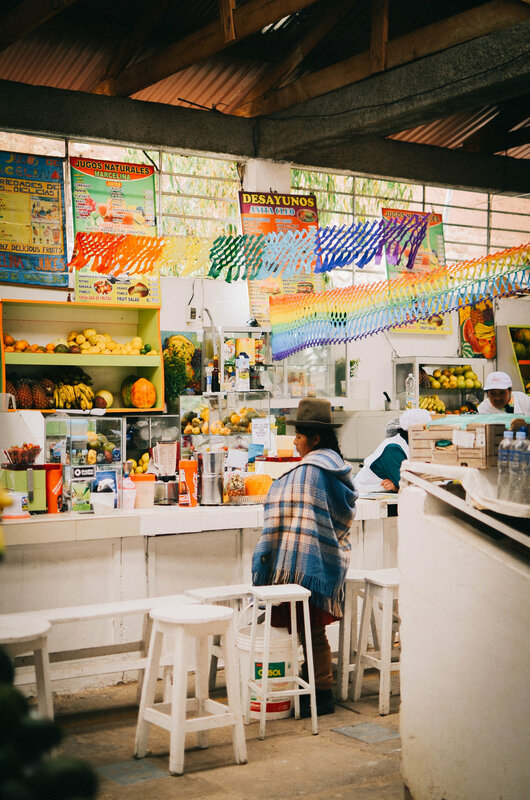 This place became our home base for exploring the center of Cusco and completing the popular 5-day Salkantay Trek to Machu Picchu. A local market as well as a Tottus supermarket were both within walking distance along with lots of great hole-in-the-wall places to eat, the Bolivian consulate and a place to run any other errand you need to run. 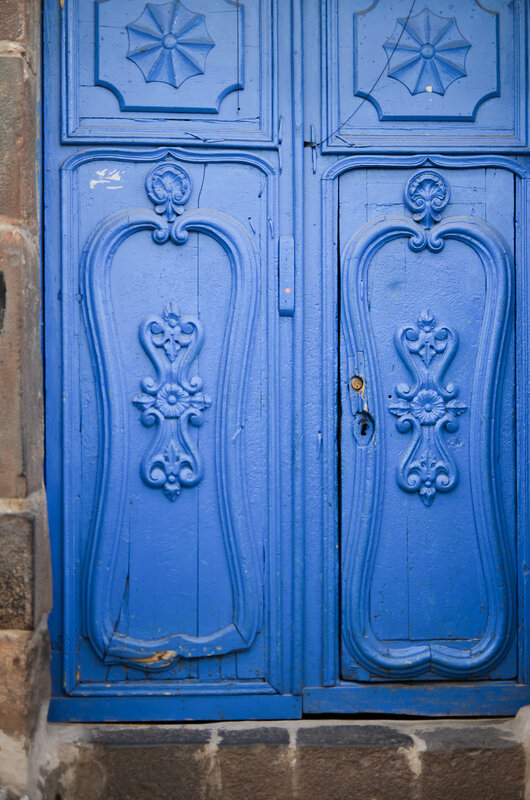 Travelers often say that it’s very easy to get stuck in Cusco and after our experience, we can easily see why. Tacomania - Some of the best “Mexican” food I’ve ever had. It’s fresh, delicious and the portions are enormous. It's a great place to go if you've got a special diet since their menu is so customizable. We loved the enchiladas and chili con carne nachos here. Also, their amazing guacamole is a option for a side at no additional cost. We fell in love. San Blas Market - A great little market to grab local produce and a super cheap lunch. There are also vegan/vegetarian set lunch options for 7 soles! Justina - pizza…need we say more? Green Point Vegan - Amazing vegan food with a set lunch for 15 soles. You get access to a fantastic salad bar, fresh bread, a soup, main, a drink and dessert. The lunch menu has incredible value for quality food made with love and more than ample portions. Qura - A cute little cafe offering homemade bread, kombucha, organic coffee and lots of other locally made goodies. We tried the acai bowls and avocado toast and both were fantastic! We happened to arrive in Cusco two weeks before the most important festival of the Incas: Inti Raymi (sun festival). That being said, there was plenty to see just by walking around the historic center of the city. During the three weeks that we spent in Cusco, we were able to see or hear some sort of parade or celebration every single day. 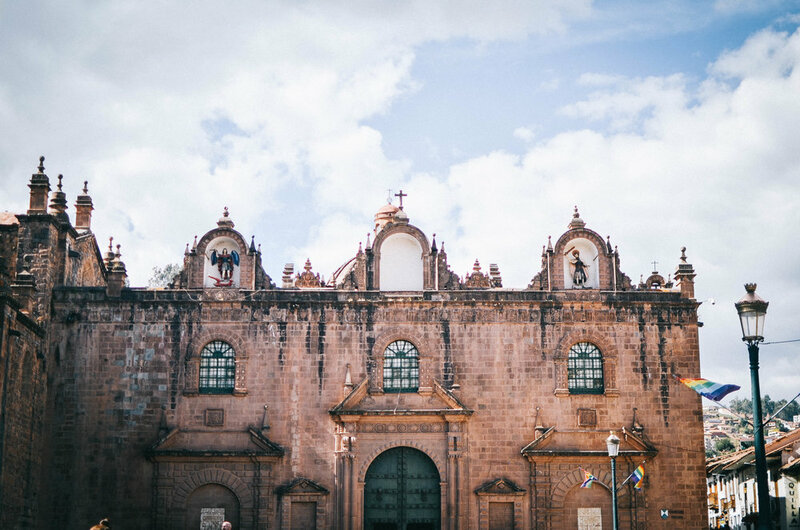 The Plaza Mayor del Cusco and San Blas Plaza were both lovely to just sit and take in our surroundings on a nice day. 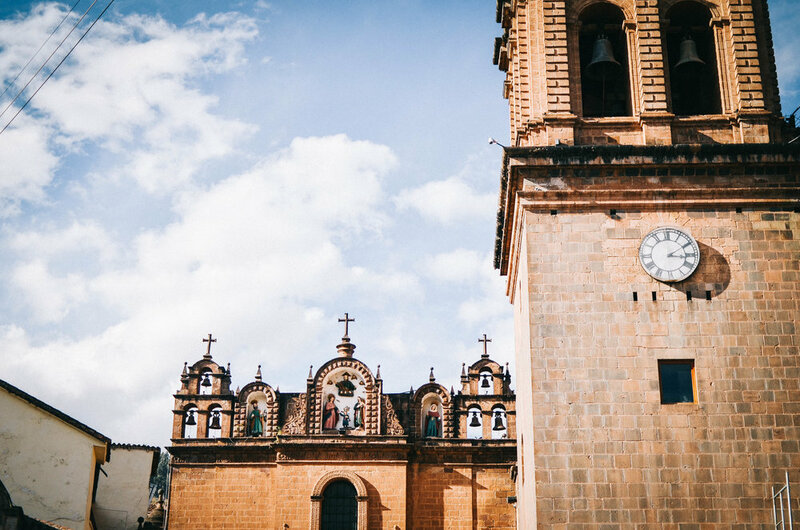 However, if getting out of the city is more your thing, there are more than enough tour companies to book experiences with all throughout the center of Cusco. In total, we went around to about 15 different agencies offering the Salkantay Trek to compare prices and found that Peru Travel Company offered the most competitive price.